About ten years ago, my husband Doug introduced me to one of the most beautiful places I have ever seen, the British Virgin Islands (BVI), specifically the island of Tortola. Doug has spent half of his life going to the BVI and befriending many local people on Tortola. Our local friends who call this small island home are intelligent, wonderful, fun, passionate and so incredibly special to both of us. 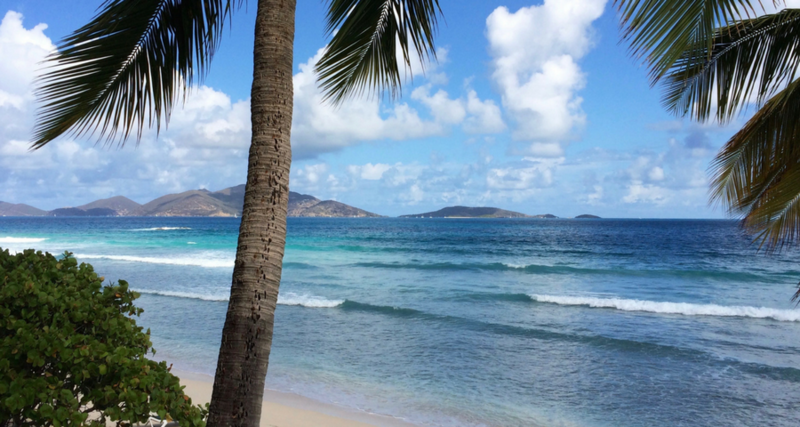 It is hard to explain how much we love the BVI and how much we love its people. We have always felt so fortunate to share a part of our lives with them. On September 6, 2017, within about eight hours, everything about the BVI and Tortola changed. Hurricane Irma ravaged the islands and left most of the people in the BVI homeless and jobless. Two months later, there is still very little power, and most people do not have personal generators to keep food cold and lights on. Those who have chosen to stay in what remains of their homes are living a life we could not imagine. They are constantly sweeping out rainwater, which pours in from partially destroyed roofs, living with no electricity and no running water, have little communications, and little or no transportation. To top it off, the mosquitos and flies are wreaking havoc. Many have had to make the very difficult decision to leave the islands to live with friends or relatives overseas. Most have lost everything material. And many have no jobs, no homes and very little, if any, money. Incredibly, this is just one of the many devastating crises that has impacted so many people in 2017. I do not remember a year where there seems to be one instance after another of this kind of tragedy. We all follow what seems to be the daily stories of hurricanes, massive fires, floods, and two of the largest mass shootings in recent American history. This year has been a year many of us want to forget! Now more than ever, I think about how much I used to take for granted, and how fragile all of our lives and our belongings really are. I have heard some people say the Caribbean residents should have been better prepared for a Category 5 hurricane. But who can prepare for what they cannot anticipate? Like nothing else in my life, the year 2017 has helped me understand how easily we could all find ourselves in desperate situations, including homelessness. In one way or another, most of us have or will experience a tragedy, which often comes with little or no warning. This year has brought “home” how quickly and unexpectedly any of us could be in a situation where we need help and a hand up. I have worked for Family Care Network for over 17 years. During those years, I have been fortunate to assist in helping FCNI purchase nine apartment complexes in San Luis Obispo and Northern Santa Barbara Counties, utilizing State and County grants. This housing has allowed FCNI to provide homes for homeless youth and families at affordable rates. Through these nine complexes, we have 31 apartments which house those we serve–from teens working towards adult independence to homeless families working towards self-sufficiency. The homeless youth and families we serve are not so different from any of us. They need a hand up, because like many of us, they could not prepare for what they could not anticipate. Through housing and life skills development training, our programs create a bridge to independence. Our Housing and Support Programs are designed to support independent living of those in care within two years of placement. I am proud to work at Family Care Network, and I am proud to help house people who need it. Now, more than ever, I understand the value of a home and how, without one, almost everything else is unobtainable. A home is the foundation to a successful life, and at Family Care Network, we get to help people who need us. If we don’t help them, then who will? If you’d like more information on our Housing and Support Programs or to know how you can join our efforts, please contact us at (805) 781-3535 or visit our website FCNI.org. When Home is More than Where the Heart is was originally published @ Blog and has been syndicated with permission.